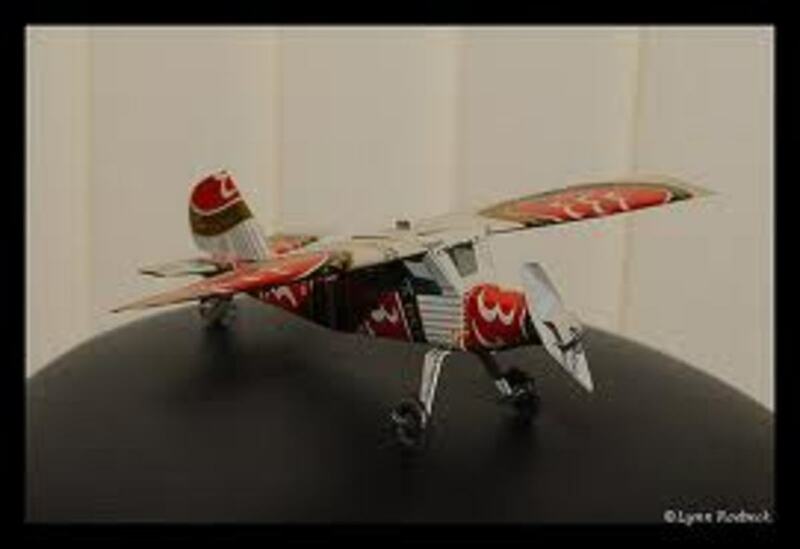 These are great models that look beautiful, and they cost a fraction of what a real model airplane would cost you at the local hobby shop. It's a great gift that you can make with your bare hands while tossing back a few beers and justifying the beer you consume to the pretty little wife. Optional: You can add more cans to add a top wing and supports or make the body longer. Use your imagination and have fun. This is where the magic begins. First, gather all the materials listed above. Make sure the beer cans are rinsed, the scissors are sharp and a new blade is in your exact-o knife or box cutter. Also it's a good idea to wear leather gloves as the cans are very thin and the cutting tools are sharp. 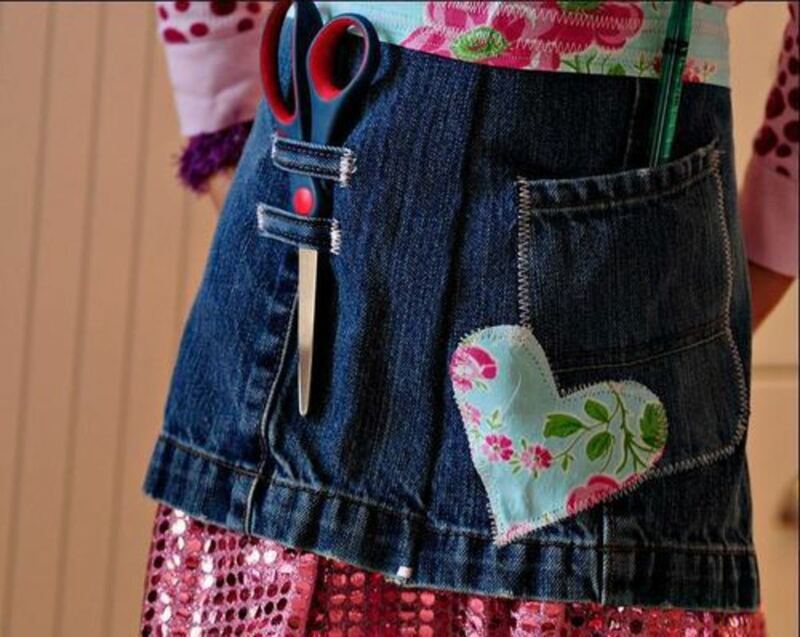 1/2" from the top of the first can, carefully poke a hole in the can with the scissors and remove the top. Be careful to not crush the side of the beer can. Keep the top for later use. For the second can, do the same thing, only this time you will make your cut 2-1/2" from the bottom. Keep the bottom for later use. For the third can, cut both the top and bottom off, and then cut the center part of can in half to lay it out flat. This will be the wing section. On the shiny side of the flat sheet you made from the can, you will draw two wings that are the same. They should be approximately 5" long. You will also draw your propeller, approximately 3" long. Cut out both wings and propeller. Remember to wear gloves as beer and sharp objects don't mix well together. Now back to the first can. Make two incisions in the midsection of the can with your box cutter or exact-o knife. The incisions should be as wide as you made your wings and the wings should fit fairly snug. Now make a horizontal slit across the bottom of the can for the tail section to be placed. Now it's time to put the wings on. Slide the wings in place and secure them with glue. For the tail section, use the scrap sheet left over from the wings and draw a triangle 3" with rounded corner at the top and a small tab 1/4' x 1-1/2" to slide into the horizontal slit you cut into the can and glue it into place. Take the bottom you cut off earlier and drill a hole directly in the center of the bottom of the can. And do the same for the propeller you cut out earlier. 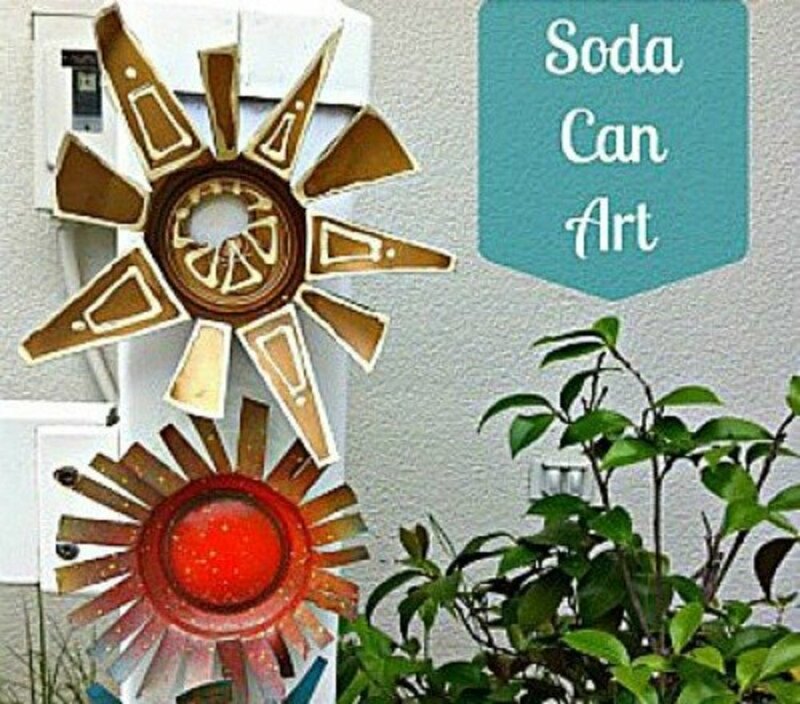 Take the bolt and propeller and attach it to the can but not too tight so it will spin freely. 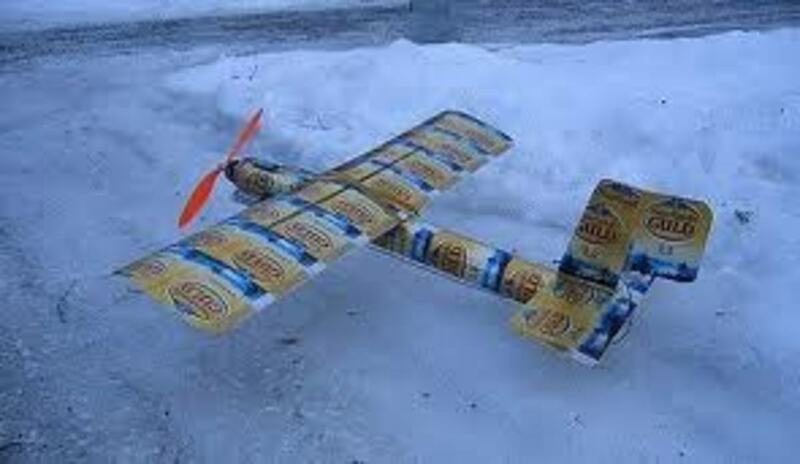 If you want to make your plane with wheels, you can use a wire hanger and other beer can bottoms for the wheels. Another way is to run down to the local hobby shop and purchase landing gear. Whichever way you want to go with it, just cut the slits into the bottom of your new airplane to accommodate the wire or folded aluminum pieces and glue it into place. 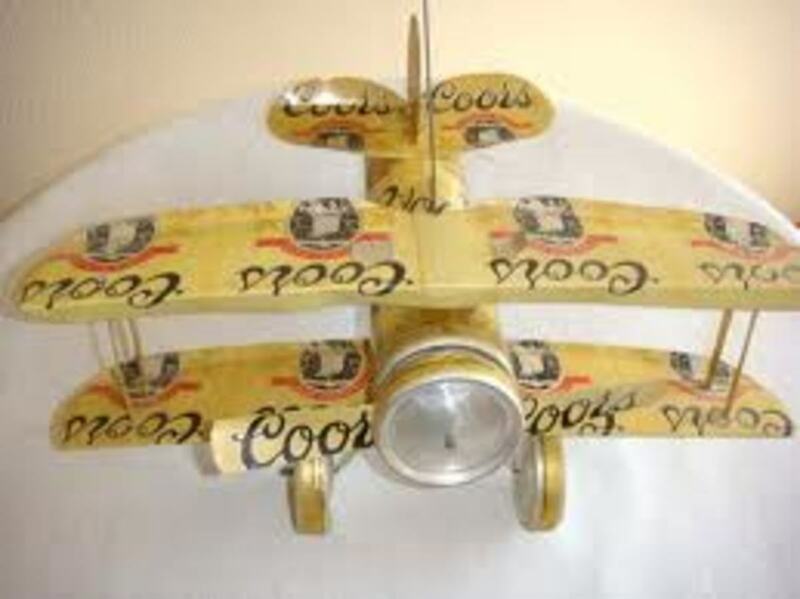 Now that the airplane is complete, all that's left to do is sit back, finish your beer, and marvel at the art work you just created. This is a good time to talk with your buddies and show off your new battle wounds while bragging about your new airplane. This would be better to understand with step by step pictures. wanted to download templates and got a warning that the site is questionable You need to investigate sites you send people to. Thank you very much for the pin and share. This is such as fun thing to do. I also have a beer can man if you are interested. Thank you. Too cool! Had to pin and share this. How did you think of this!?! My husband loves flying, models, and beer... This is absolutely perfect for him. You made the steps easy to follow & understand. Voted up & sharing! KDF: Thankyou and it is pretty cool and definitely fun to do. 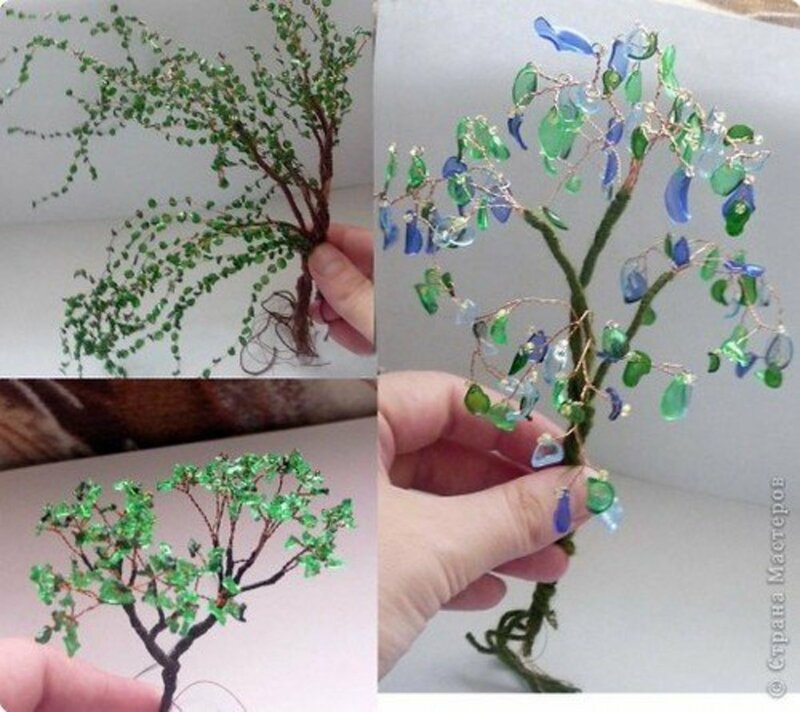 Gypsy Willow: Yes do give it a try to let me know how it turns out. I think your really going to have fun making it.. Thanks for your comment and have fun. Wow I'm going to try this! Thank you! It's definitely fun and makes a nice father day gift as well.